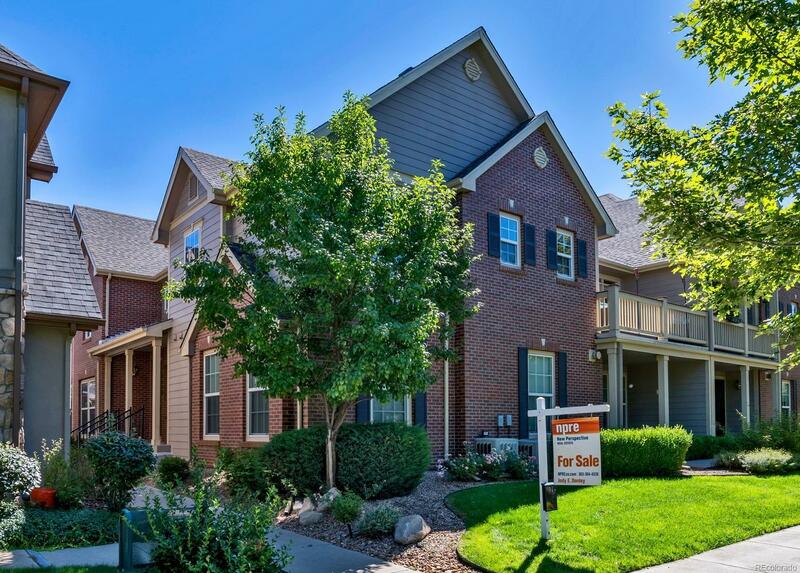 Situated in the heart of Stapletonâs original neighborhood, this townhome boasts a loft like vibe. The vaulted ceilings and the open floor plan make everyday living a breeze while still providing crowd-pleasing space for gatherings and celebrations. Sumptuous granite counters, stacked tile backsplash and a farm sink provide a rich ambiance in the kitchen. The dining area has tons of natural light and opens to a wide balcony. Dine al fresco or taking in one of Coloradoâs brilliant breathtaking sunsets. The plush ownerâs suite is secluded with its own balcony, walk-in closet and spacious bath. A clever alcove adjacent to the staircase provides a unique space for a home office, reading nook or craft room. Clever storage on the main level provides room to keep your things. Access the Town Center and Founderâs Green. Full of hip eateries, year âround activities, farmers market, library and work-out studios, fun is only a brief stroll away.